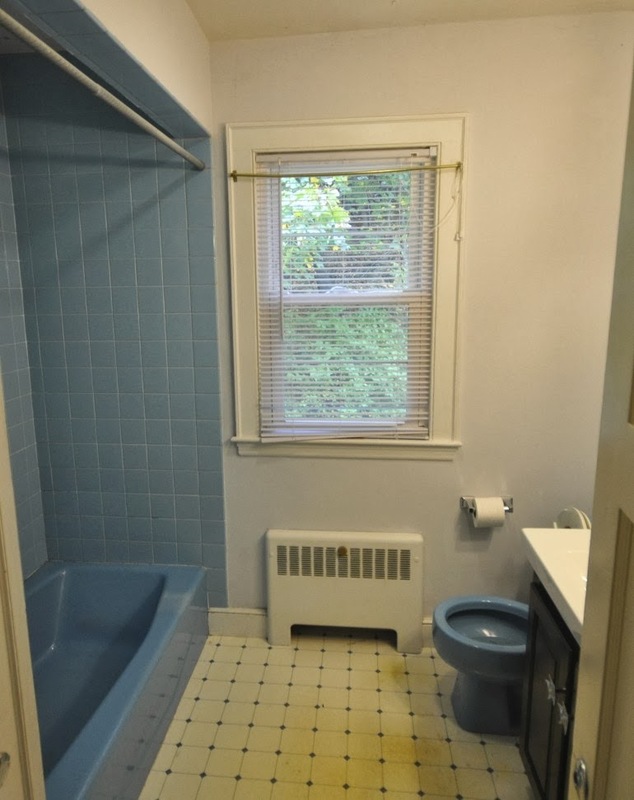 I'm really looking forward to getting rid of the blue toilet in the downstairs bathroom. But I hadn't come up with a concrete plan for what to do in there, once it was gone. I have a nice wood vanity in the storage facility that would fit and thought a white (aka boring) toilet would be fine. 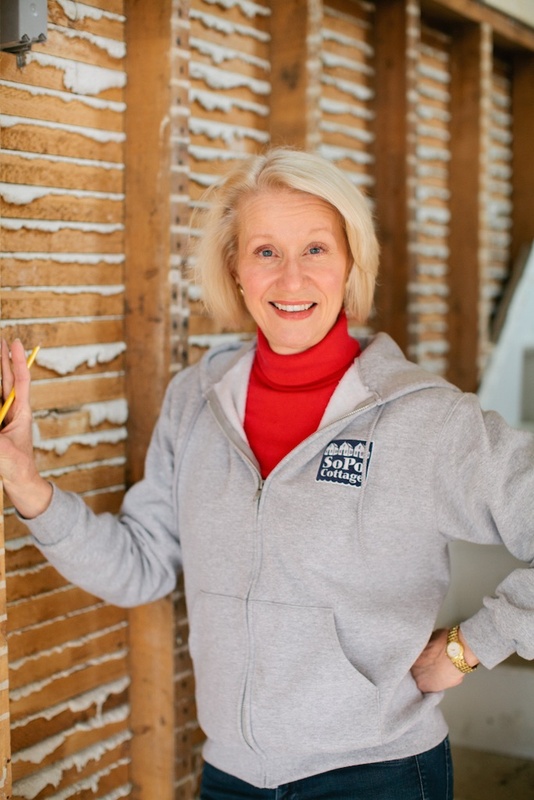 And then, last week, I got a call from Heather at the local plumbing supply store, telling me they were having a floor sample sale and that I needed to come in right away and take a look. Well, I can never pass up a big sale, so I was there about 15 minutes later. And I found this Toto suite with toilet, sink, faucets and towel racks. Even on sale, it was way above my usual price range (the toilet alone retails for over $900), but I really loved it. It was the perfect blend of traditional and contemporary, with its curved sleek lines. And frankly, the toilet made me think of George Jetson. Now, some of you are probably too young to remember watching the Jetsons. But they were a staple of my childhood and I always loved the contemporary styling used in the show(of course I thought we'd all have a Rosie the Robot to clean our houses by now). And as I started doing a little research on Toto, I discovered people are FANATICAL about their Toto toilets. They love them. And not just a little bit. They throw 'burn the plunger' parties when they install them. Seriously, with guests and food and drink (but they point out that they really don't get to test them until the next day). Odd idea for a party, but they obviously enjoyed themselves. And I was so intrigued, I've decided we need to have Toto toilets throughout the house. I'm curious. Do you have experience with a Toto toilet? But this also meant we had to redo the plumbing (to accommodate the pedestal sink) and needed a new tile scheme. 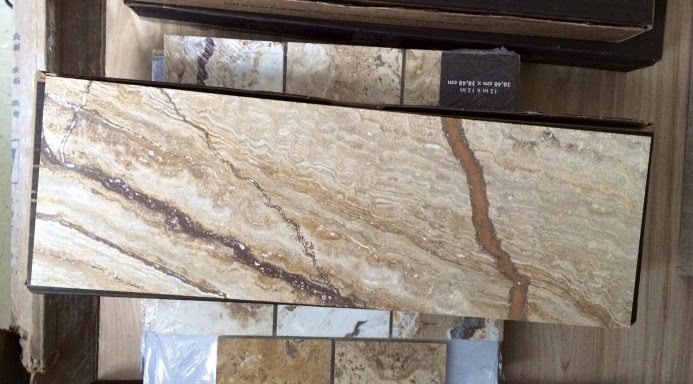 I found this great plank style marble flooring. With the clean, contemporary lines of the fixtures, I loved the juxtaposition of the new and the old. We haven't really started this bathroom yet - it's the only one that works and we don't want to decommission it until one of the upstairs bathrooms is in working order. But I can't wait to get started! Ooooh, I love the marble-looking plank tile. I've seen some really interesting plank tiles recently at the home improvement stores. As much as I dislike my kitchen, bathroom and laundry room tile, it would be really nice to replace them with some plank tiles. Can't wait to see this bathroom when it's done. Like the plank flooring, but not a fan of Toto's styling. 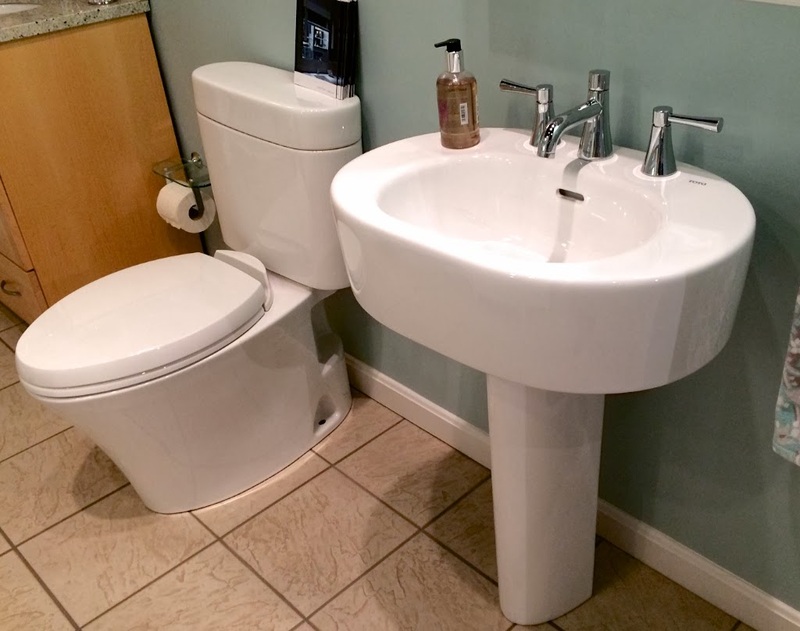 I replaced out toilets with 2 piece Toto Aquia dual flush toilets several years ago. Fantastic toilets! See…..people really do love their Toto toilets! I might need to replace the Kohler one that I hate at my own house! Thanks for the heads up Marie. Only one of the Toto toilets has arrived, but I check and it does have an insulator on the inside of the tank…..so maybe they've made some design changes? So sorry to hear about your walnut floors! that's possibly the prettiest toilet and sink set i've seen. and that marble is bloody gorgeous. LOVE the Toto suite. And, you will not be disappointed! I used to do plumbing marketing research for a living and Toto was at the top of the "best" list. Granted, that was several years ago, but I am sure the rankings have not changed much. Thanks for the insights Heather. I hadn't realized how much people love these toilets, until I started doing some research. They have a cult following!!! I'm a floor sample hound and I'm always looking for a good deal. Looks like you found a great one!